If you've been chomping at the bit for information on Little Mix and Jessie J's collaboration, wait no more! While we'll likely have to wait until Get Weird drops on Nov. 6 before we can hear "Clued Up" in full, Little Mix just shared a preview. Welcome to your new favorite song from the band. The clip comes to our courtesy of Twitter, where Little Mix explained "Clued Up" is "very honest & about our experience in the industry." In the 15 seconds of the song, they sing, "Keeps testing me / Getting on track / With every knock-back on a bad day / I just gotta stay, stay, stay / I stay clued up / And I'm ready to let the good outlive the bad." The lyrics fit with the authentic vibe of Get Weird, but sonically, it's a lovely extension from what we've already heard. 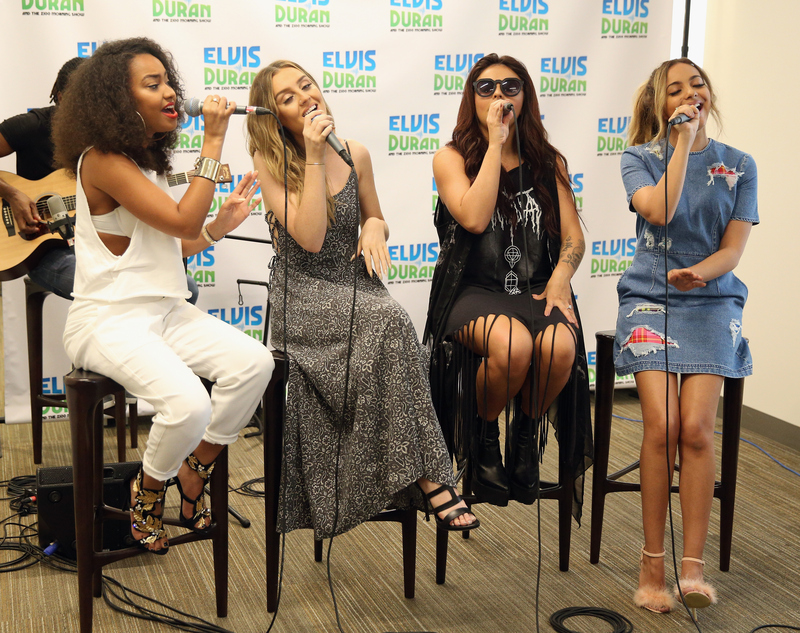 "Black Magic," "Love Me Like You," "Grown," and "Hair" are all upbeat, confident, and powerful. Of course, Little Mix's incredible harmonizing is present in these tracks, but it's highlighted especially in "Clued Up." The stripped-down song allows the band's incredible voices to shine more than ever. Consider me officially obsessed now. Lyrically, the song also hits a new level of vulnerability. Little Mix have tackled relationships, self-empowerment, and growing into confident women, but this song is a deep dive into the music industry. It's a solid reminder that their career decisions are as strong as their voices. "Clued Up" is the perfect complement to an impressive set of songs. I can't wait to see how it fits in with the rest of Get Weird.